The Galician regional government soon made a strong investment in the Northern Way to improve different aspects of it, as their signage, plus put some routes. The total investment will be about 2.3 million euros. 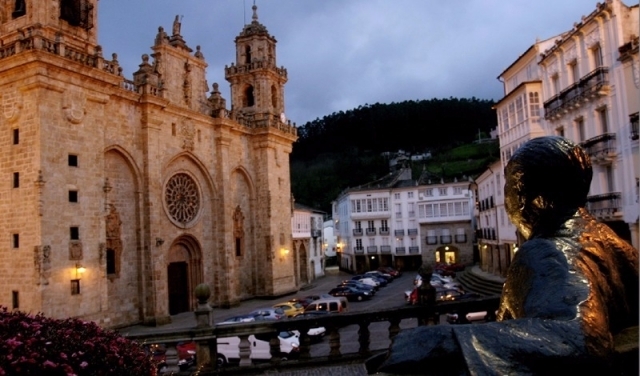 The director of the agency Tourism Galicia, Nava Castro, recently met with mayors of the affected municipalities in Vilalba, which reported that the work will focus specifically on four sections of the Camino del Norte. Among other improvements, there will be a review and increased signaling (signals are placed every 500 meters on the main route), and various works of preparation, such as cleaning gutters. Work will begin during the month of August, and will be made in installments, starting from Lourenzá Ribadeo and Trabada to Lourenzá; following of Mondoñedo Vilalba and Abadin between Lourenzá and, with respect to the region of A Mariña.he Northern Way was used last year by 15,825 walkers. 0 reviews Distance to Santiago: 195 km.